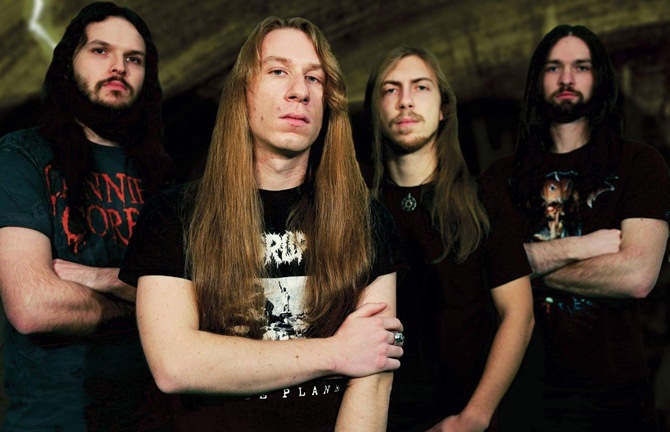 Slovenia is not a country that immediately comes to mind for metal of any kind, let alone thrash metal. Yet here are Panikk bucking that trend with their second album of thrashing fury, Discarded Existence, released on the Spanish label Xtreem Music. The band takes the slightly slower, three-quarter pace approach to thrash with enough speed to induce a good old fashioned pit and enough groove to make non-moshers bang their heads in enjoyment. It never goes full-throttle thrash but it really has no need to do so though it would provide some nice variety in the songwriting. That being said, this is a very solid slab of three-quarter thrash metal. The riffs are not that heavy but they have plenty of speed and a little groove to them so the songs do not lapse into being one-note thrash bangers. There is enough diversity in the riffs and the songwriting to keep the listener interested throughout with speedy tracks like “Rotten Cells.” There are a few nice grooves on this album but a lot of the riffing is pretty standard for new thrash bands. It is well-written and clearly exhibits talent and skill but winds falling a tad flat due to familiarity. If there were more guitar solos like the one on the title track, it would provide the necessary variety for the riffing to have the full effect. The rest of the instrumentation is equally solid but also nothing spectacular. The drumming is mostly fast-paced with driving rhythms that keep time quite well but there is nothing new to be found here. It is a great performance though so kudos on that front. The bass only stands out on “Reconstruction,” which is arguably the best song on the album because although it still feels familiar, it manages to sound fresh and exciting. Perhaps the band will write more songs like this in the future because it would help them stand out among the fray of bands playing this style. 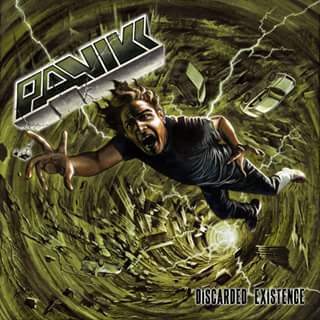 This entry was posted in Reviews, Thrash Metal and tagged 2017, Discarded Existence, Panikk, Slovenia, Thrash Metal, Xtreem Music.